The United States claimed a fifth straight women's world hockey championship Sunday, edging Finland 2-1 in a shootout, after Petra Nieminen's goal in overtime was waved off. 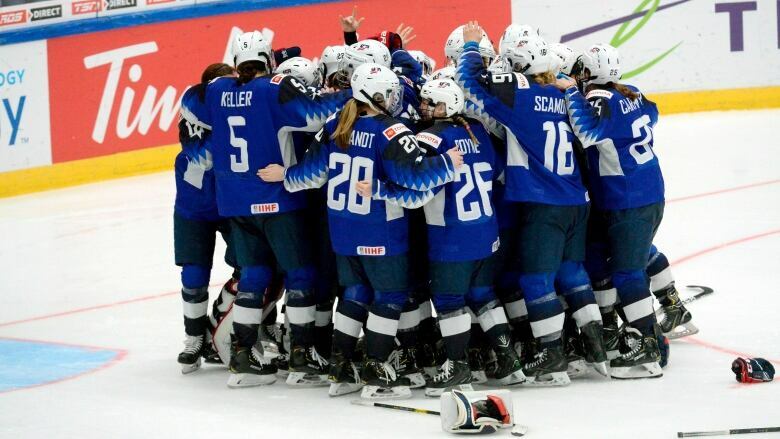 The United States celebrated a women's world hockey title that the Finns thought was theirs Sunday in Espoo, Finland. So the American women's run of titles continues as they've now won eight of the last nine world championships.